You don't have to go very far to find evidence that the World Cup is making headlines at just about every media outlet out there, ourselves included. It's easy to find yourself caught up with footie fever, packed into a tiny bar with fifty other screaming fans pushing you away from the bar (and television). While 100 Chileans recently demonstrated otherwise, tickets are coveted enough to make for a keepsake or even a prized possession, should your team prevail. 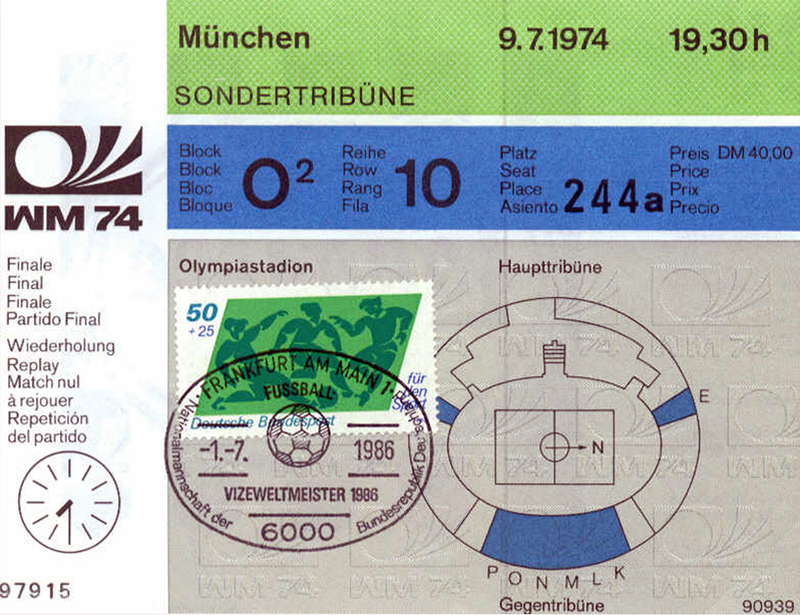 Here's a look at the ever-evolving ticket designs from 1930, when FIFA started distributing them, to present day. The ticket from the inaugural World Cup games in Uruguay may look pretty basic, but used ones go for close to $1,700 on collector sites nowadays. The outbreak of World War II meant a 12-year hiatus, which returned to Brazil in 1950 with a new design feature: the stub. The stub was overall shortlived, it seems. In 1954—the first year the Cup was televised, by the way—tickets came in different shapes/sizes depending on which round it was, incorporating the stub only in tickets for the final. 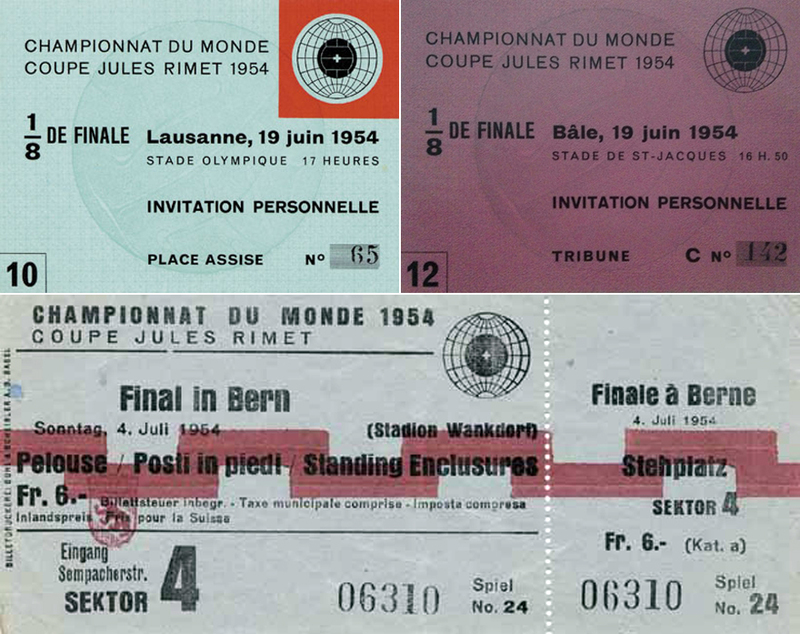 The 1958 World Cup in Sweden saw a marked improvement in the ticket design, bringing more consistent alignment and overall clarity to previously scattered information. 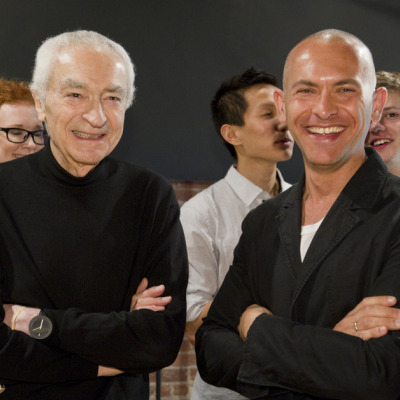 ...which only lasted a couple of years. As technology would have it, the design quickly transitioned to a digital clock graphic noting start times in 1982 (anyone happen to know if Seiko was a sponsor that year?). 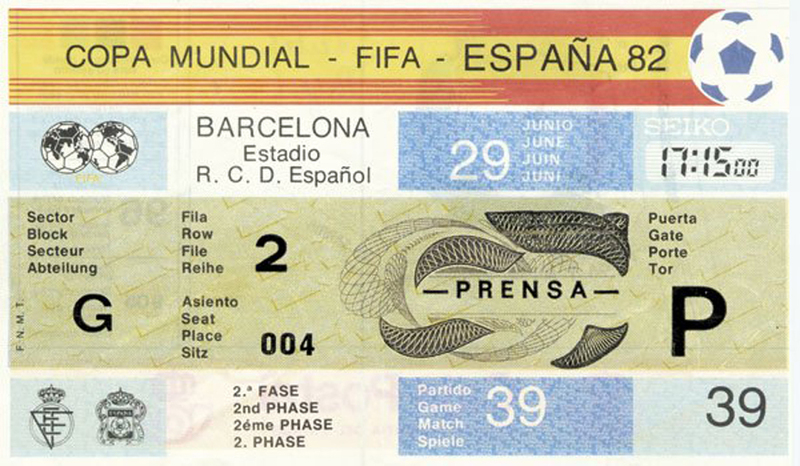 The ticket colors also corresponded with the flag of the host country, Spain. The flag trend continues in 1990—featuring a toned-down color scheme taken from Italy's flag—and pulls some inspiration from the 1934 ticket design. 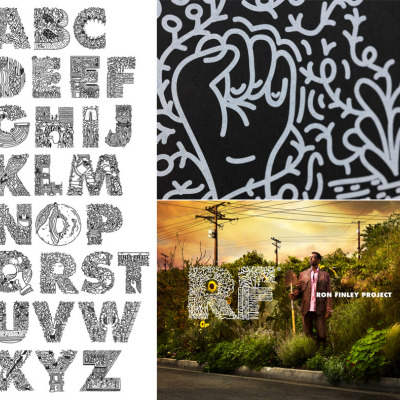 The 3D font is a little, um, '90s, but is a nice homage to a ticket design long past. The 2002 ticket for South Korea featured a hologram that helped guards and staff identify the real tickets from the fake. 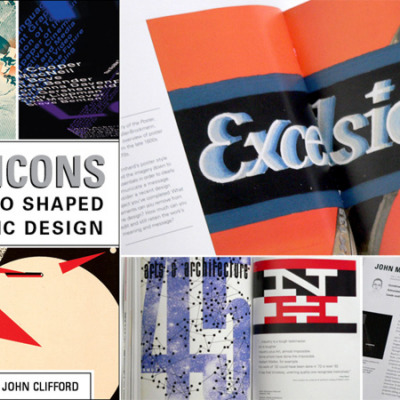 Apparently flashiness was on-trend that year, with particularly prominent logo placement. 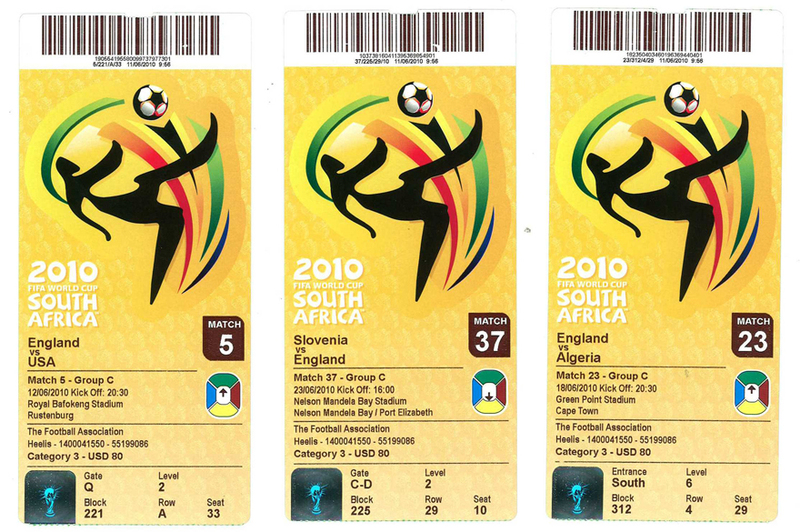 Featuring a custom font, the ticket for the 2010 World Cup in South Africa comes vertical with two matching barcodes—one at the top and one on the bottom—replacing the hologram. Which brings us to this year's ticket. 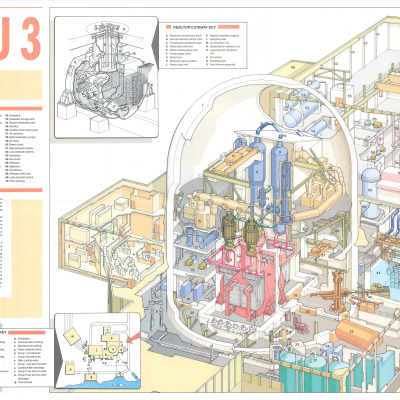 Vibrant—perhaps a bit too vibrant—with ultra-contemporary typography and a holograph along the perforation for the stub. It's not exactly timeless, but we're also just jealous that we don't have them. The best part of the 2014 tickets is the wayfinding strip at the bottom, never have I seen a ticket that guides you so easily to your seat. It seems obvious but just look at any other ticket and try to figure out at a glance where to go. But I was also looking for a comprehensive list from every cup, is that too much to ask?